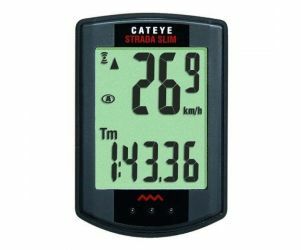 CatEye is the leading manufacturer of cycle computers, lights and reflectors to cyclists in the world. Founded in 1954 in Osaka, Japan, CatEye has always been a leader in innovation and technology. CatEye Philosophy is "Deliver quality products through creativity, passion, and teamwork" and their Mission is "Add value to all aspects of society, including safety, environment, and health related issues".